Which statement is true about TIBCO ActiveMatrix product suite? A. It is a J2EE application platform. B. It is a security management tool. C. It is a business process management suite. 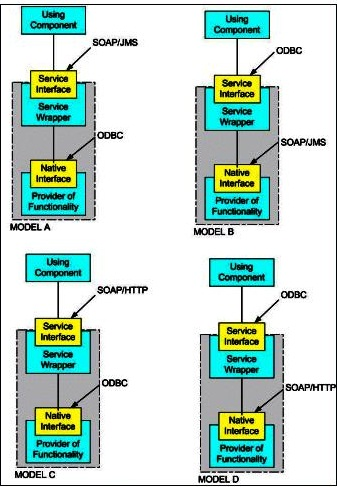 D. It is a platform for building and deploying SOA-based applications. What are two functions of a TIBCO ActiveMatrix BusinessWorks Critical Section Group? limit of the number of concurrent process instances that can be stored in memory? A. A physical host can run more than one ActiveMatrix node. B. An ActiveMatrix node can be part of only one ActiveMatrix environment. C. An ActiveMatrix Administrator cluster can include more than one ActiveMatrix Administrator server. D. A Management Daemon on a physical host can be bound to only one ActiveMatrix Administrator cluster. E. An ActiveMatrix node can be managed by multiple ActiveMatrix Administrator clusters as long as that node is part of all those ActiveMatrix Administrator clusters. F. A single instance of TIBCO ActiveMatrix Service Performance Manager can manage and enforce Service Level Agreements on services across multiple ActiveMatrix environments but within a single ActiveMatrix Administrator cluster. TIBCO ActiveMatrix BusinessWorks supports the concept of orchestration processes. A. ActiveMatrix BusinessWorks converts the activity input mapping into XSLT. B. ActiveMatrix BusinessWorks converts the schema shared resource as an XSD. C. ActiveMatrix BusinessWorks converts adapter service definitions into partner links. D. ActiveMatrix BusinessWorks converts the orchestration process to a WS-BPEL compliant format. A. The service provider can be one of several providers. B. The application decides which service implementation to use. C. It decouples the service transport from its business implementation. D. It allows the service to be load balanced and fault tolerant in a transparent manner to service consumers.